Ledger Cast covers the cryptocurrency industry (Bitcoin, Ethereum, and alt coins), including technical and trading analysis, fundamentals, and anything else crypto and blockchain related. Made by Ledger Status and friends. $5k by May is early, The Cloud knew, and CarpeNoctom takes his victory lap on this episode of Ledger Cast. In this episode, Josh and I talk about a lot of things, from fake volume on sketchy exchanges to our thoughts on pricing. I talk to the creator of DestroyerDAO to better understand the project and their aim to enable people to destroy rekt and (near) worthless tokens in exchange for having a voice in the DestroyerDAO -- and by extension broader -- crypto community. Tulips FM crossover: Is Volatility Back? This is a crossover with another podcast I'm participating in about all markets, called Tulips FM. In this episode, Josh and Brian talk to Jordan Bass of Taxing Cryptocurrency to talk about the questions many of us have around tracking and filing tax obligations when trading cryptocurrency. I catch up with Josh Olszewicz aka CarpeNoctom on his last few months of trading, what he's looking at now, and some of the top news in the market today. In this episode I talk to Tor Bair about screening crypto projects by their fundamentals. We also talk about his own entry into the space and the work he's doing. When I first came upon Hxro, I was skeptical of what gamified trading meant. Then I tried it, and I've been hooked. It's really unique and I wanted to bring on the co-founders of Hxro to talk about it. I talk to Aaron Lammer, co-host of Coin Talk, about whether the bottom's in and how to address the market now. In this episode I talk to Erik Townsend, the author of Beyond Blockchain and the Rise of Digital Currency -- in which he makes the case for how governments will take what has been created with bitcoin and turn it into something else entirely, where they are in control. In this episode I talk to fellow podcaster Peter McCormack of What Bitcoin Did and the What Bitcoin Did podcast. In this episode, I talk to Bob Reid, the co-founder and CEO of Everest. Everest is a crypto project aimed at bringing the unreached world into the fold, with solutions for ID, micro finance, record keeping, and more. In this episode, I interview Clay Collins, the CEO of Nomics. Nomics is an API to capture and make available for use all cryptocurrency price data and coin information that's out there. In this episode of Ledger Cast, Josh and I discuss trading in both bull and bear markets, live from Washington, DC. In this episode I talk to Lowstrife, a master bitcoin scalper, to discuss his trading style, and his journey in crypto. In this episode I talk to Nik Patel, author of An Altcoin Trader's Handbook, about his journey trading in a changing crypto landscape. In this episode I talk to Jesse, aka Psycho on Wall St., to discuss his fascinating trading journey from pot stock boom and busts to full time crypto trading. In this episode of Ledger Cast, Josh and I discuss trading in a bear market, how we are approaching it, and some coins that are bucking the trend. In Part 2 of this episode, I interview Sicarious on his trading history and strategies. We go in depth on the past bear market, how he approached the most recent bull market, and how he's looking at things going forward. In this interview I interview Sicarious on his trading history and strategies. We go in depth on the past bear market, how he approached the most recent bull market, and how he's looking at things going forward. The Ocean is a decentralized exchange building as a relayer on top of the 0x protocol. In this interview, I talk to their CEO, John Piotrowski, about focusing on creating deep liquidity from the very beginning. In this episode of Ledger Cast, Derek Waltchack interviews leaders of three different projects live at Consensus -- Fetch, Havven, and Platin. In this episode of the podcast, Derek and Brian discuss his trip to Consensus, the state of smart contracts platforms (particularly Ethereum and EOS), security tokens and hype around related platforms, and dug a bit into stable coins. In this episode of Ledger Cast, Josh and I discuss the state of the market, with bitcoin moving, and a lot of alts that have been moving even faster. MetaCert is aiming to make every link safe to click and open. Derek and Brian interview Paul Walsh, the CEO of MetaCert and the MetaCert Protocol -- a platform aiming to take their online trust and reputation products to the blockchain. In this episode of Ledger Cast, I interview Alex Sterk, the community manager of the Ubiq project and CEO of Ubiq Technologies. In this episode of Ledger Cast, Derek and Brian talk to the team from the Switcheo Network. They are building a decentralized exchange for Neo, and eventually other platforms as well. In this episode of Ledger Cast, Josh (@carpenoctom) and Brian (@ledgerstatus) discuss the news of the week, as well as the state of the bitcoin and alt coin markets. In this episode of Ledger Cast, I talk to Derek about the landscape for investing in ICOs as an accredited investor, as well as investing in the broader cryptocurrency ecosystem, the regulatory uncertainties for the space, and more. In this episode of Ledger Cast, I talk to Beastlorion about current market sentiment for bitcoin and alt coins, and we discuss our 100x challenge, as well as his story of getting into trading crypto. 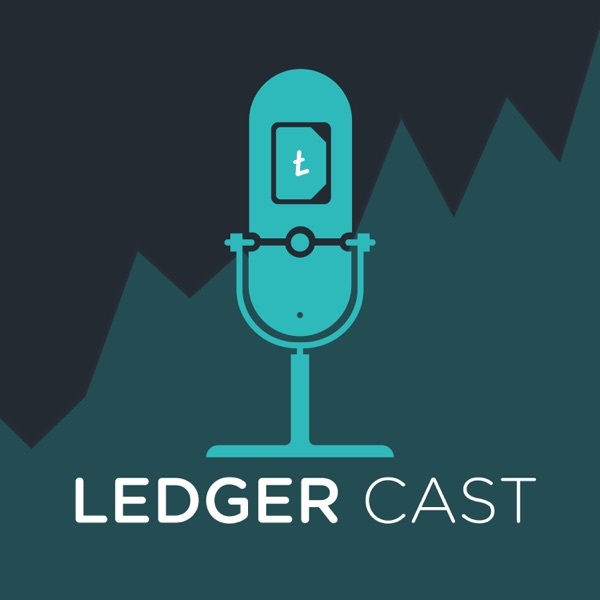 In this episode of Ledger Cast, Josh (@carpenoctom) and Brian (@ledgerstatus) discuss the news of the week, as well as do a deeper dive on decentralized exchanges. In this episode of Ledger Cast, I talk to Jay and Aaron from the Coin Talk Show about the market dump, possible recovery, how to trade in a market like this, and the US Senate hearing on crypto. In this episode of Ledger Cast, Josh (@carpenoctom) and Brian (@ledgerstatus) discuss the news of the week, as well as how we do trend analysis. In this episode of Ledger Cast, Josh (@carpenoctom) and Brian (@ledgerstatus) talk about the current state of the bitcoin market, including the recent correction, and where we think it's going from here. In this episode of Ledger Cast, I discuss momentum and breakout trading strategies for cryptocurrency with Jonny Moe, who is one of the best short-timeframe traders I’ve ever seen. Brian is joined by a special co-host, Nick "Pizpie" Cote (@mBTCPizpie) to talk about smart contracts, how he got into bitcoin, and believing in blockchain. In this episode of Ledger Cast, Josh (@carpenoctom) and Brian (@ledgerstatus) talk about pricing alt coins relative to the dollar versus relative to bitcoin, as well as other technical trading topics. In this episode of Ledger Cast, Brian and Josh discuss the fiasco that was Coinbase listing Bitcoin Cash, including the miss-steps, fallout from the change, and our thoughts in general. In this episode of Ledger Cast, Brian and Josh discuss buy and sell target setting, indicators they use, and other technical analysis tools for trading. Welcome to Ledger Cast -- a podcast about the cryptocurrency world, including trading talk, fundamentals, news, and more. This podcast is hosted by @carpenoctom and @ledgerstatus).